CarbonTree Conservation Fund was founded in reaction to a lack of quality carbon offsets available on the market. By protecting tropical forests from destruction, CarbonTree creates verifiable, legitimate carbon offsets through 'avoided deforestation' while preserving biodiversity and promoting stable, sustainable development for rural communities that depend on these forests for their livelihood. 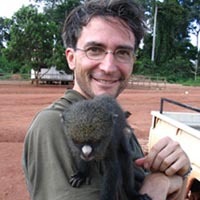 Ted Cheeseman grew up traveling extensively with Cheesemans' Ecology Safaris, and consequently began studying and photographing wildlife as a child. 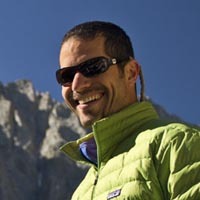 Ted completed graduate studies in tropical conservation biology at Duke University before returning to California to lead and organize expeditions full time. Working with CarbonTree Conservation Fund joins Ted's passion for biodiversity conservation with a lifetime of studying global ecological change. Gail and her husband Doug founded Cheesemans' Ecology Safaris in 1980 inspired by their passion for sharing the world's wildlife with travelers. In three decades of global travel Gail has seen too much forest destruction and habitat degradation to sit idly by. 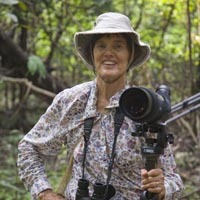 CarbonTree Conservation Fund began with her inspiration and incessant drive to give back to the forests where years of birding have enriched her life so much. Craig is a professional conservationist and attorney. His passion for preserving land grew as the result of a dozen years' work with the Santa Clara Valley Audubon Society. His work has focused on wildlife and habitat issues, including creeks, wetlands, and rare and endangered species. He has an extensive background in community organizing, media relations, fundraising, and nonprofit management. When he left Audubon in 2005, Craig traveled for a year, including the American Southwest and Central and South America, where he marveled at so many of the natural and cultural resources of the "New World". More recently, Craig is a self-employed conservationist and has begun engaging in volunteer work on climate change in his home town and around the San Francisco Bay Area. David is a forester by trade and serves as Vice President of Forestry and Technical Services for Terracarbon where he advises clients on the development and management of forest carbon offset projects. 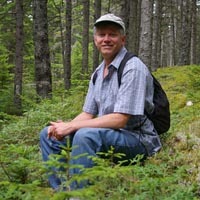 Prior to his position at Terracarbon, David served with The Nature Conservancy's Climate Science Team and before that was with Winrock International for seven years where he managed the implementation of forest carbon measurement and monitoring efforts. David has over ten-years experience in forest biomass carbon measurement and monitoring and forest growth and yield modeling, and served as a contributing author on the IPCC Supplementary Methods and Good Practice Guidance for Land-use, Land-use Change and Forestry (LULUCF) Activities and t he GOFC-GOLD Sourcebook for monitoring and measuring reductions in emissions from deforestation and degradation. David received his masters degree in Forestry from the Duke University Nicholas School of the Environment and a bachelors degree in Biology from the University of Richmond. He has been a member of the Society of American Foresters since 1997. CarbonTree Conservation Fund is a 501(c)(3) tax-exempt non-profit based in California, USA.